Disclaimer: This post is sponsored by FitFluential on behalf of Designer Whey. That was a quick New Year celebration. January 2nd, and I’m back to work/reality already. 5:30 am came too early. But, thankfully, I had a quick, easy and filling breakfast ready for me. 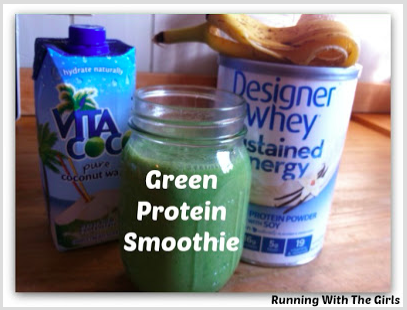 A Designer Whey smoothie. There is no better way to start my day/year than starting it with Designer Whey. Over the course of the past few years, I have tried a number of protein powders and I keep coming back to Designer Whey. For one, it’s affordable and readily available. I can buy it online if I wanted. Which is great because I am an online shopper. But, when I run out, I don’t want to have to wait for the package to come. I want it now. Thankfully, Designer Whey is available at my local Hannaford and local Rite Aid. Designer Whey makes a variety of great products that taste great and deliver a nice boost of protein. But my all time favorite is the Sustained Energy Vanilla Protein Powder. Another great point about Designer Whey is that it's gluten free. And since we’re focusing on reducing gluten in my house, this is the perfect addition. Cutting out gluten is in the right direction toward eating more clean. Have you tried Designer Whey yet? Are you ready to get back on track with Designer Whey? I sure am! After much reading and research (and wishing I could reach all my goals without supplements), I've settled on Vega, Hem Pro 70, and Designer Whey as 3 supplements I could deal with. I'd like to start a protein smoothie in the mornings and then a green smoothie in the afternoons. 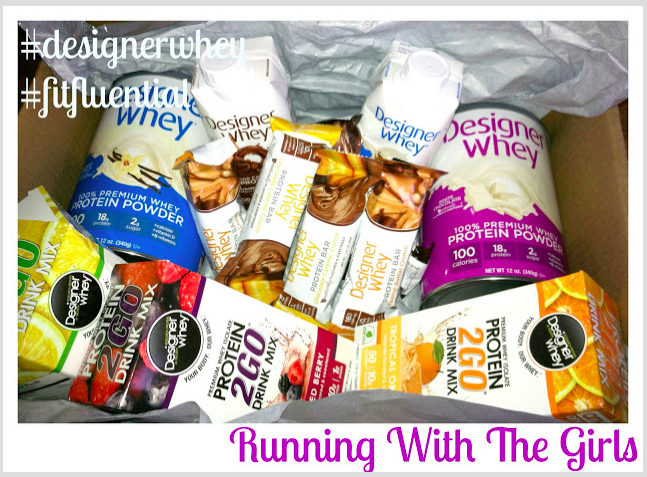 Which do you think Designer Whey is best for? Love Designer Whey!!! Yes I'm ready to get back on the DW track! If you are looking at something to stay with you until breakfast - I like that Sustained Energy Designer Whey!! Sometimes a little get-away is all you need! Are you ready for a Giveaway? I ran with my girls! 1,000 Meal Giveaway with Diet-to-Go!